Continually escalating costs of product development and a struggling profitability has necessitated for the companies to look for more agile and cost-effective product building strategies. Understanding this, GTS has been instrumental in providing the best value for your money with its sourcing solutions. Having a team of apt professionals at offshore locations, we are able to reduce the total cost of ownership with our engineering and sourcing expertise. 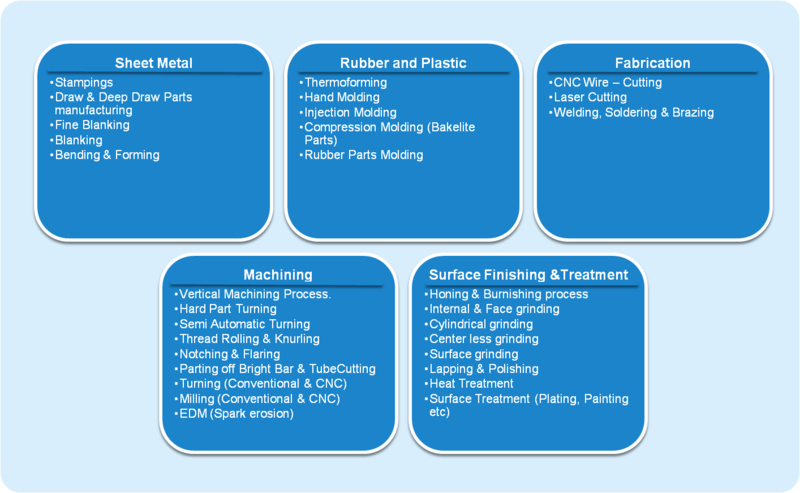 We have developed comprehensive datasheets of suppliers with their respective strengths. This has enabled us to take care of various aspects related to sourcing, such as vendor development and management, supply chain and logistics, quality assurance. With our expertise in source various categories of components, we have helped our clients innovate and mitigate the negative impacts of fierce market competition. Vendor management and development is a key aspect associated with any engagement involving sourcing of equipment, components, supplies, or skills. At GTS, we follow a tested methodology of vendor development, which has manifested its success in many of our sourcing related engagements so far. Quality of a developed product is largely dependent on the quality of sourced materials and equipment. This is why importance of quality assurance during the sourcing stage of a product lifecycle cannot be underestimated.